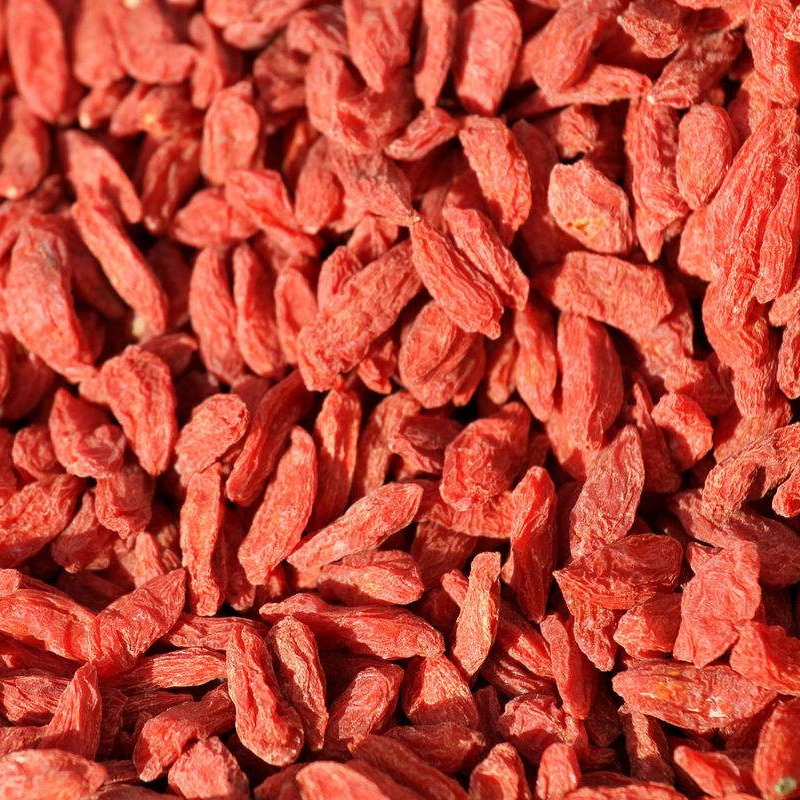 Large dried goji berries is known as the Wolfberry King. It selects large granule wolfberry, its specifications are 220 /50 grams, and is high quality wolfberry. The cultivated area of Ningxia wolfberry is the largest in China. Ningxia wolfberry is mainly distributed in Northwest China, while Chinese wolfberry and its varieties are common in other regions. nourishing liver, clearing the eyes and calming the nerves, make people live longer." The production area of Lycium barbarum is mainly concentrated in the northwest region. Ningxia's wolfberry is the most famous, and the quality of wolfberry in Gansu and Qinghai is also very high. The main features of Ningxia wolfberry: large, full, long round, thick and thick flesh, sweet and sweet, after the sweet, bright red color, light water, bare seeds light, soaking water easy to float. The pH of the Loess Plateau in Ningxia is suitable for the growth of alfalfa. The temperature difference between day and night is large, and the daytime sunshine is sufficient. Compared with other places, the fruit is long and the color is bright red and the nutrition is richer. Looking for ideal Low Price Quality Goji Berry Manufacturer & supplier ? We have a wide selection at great prices to help you get creative. All the NingXia Large Goji Berry are quality guaranteed. 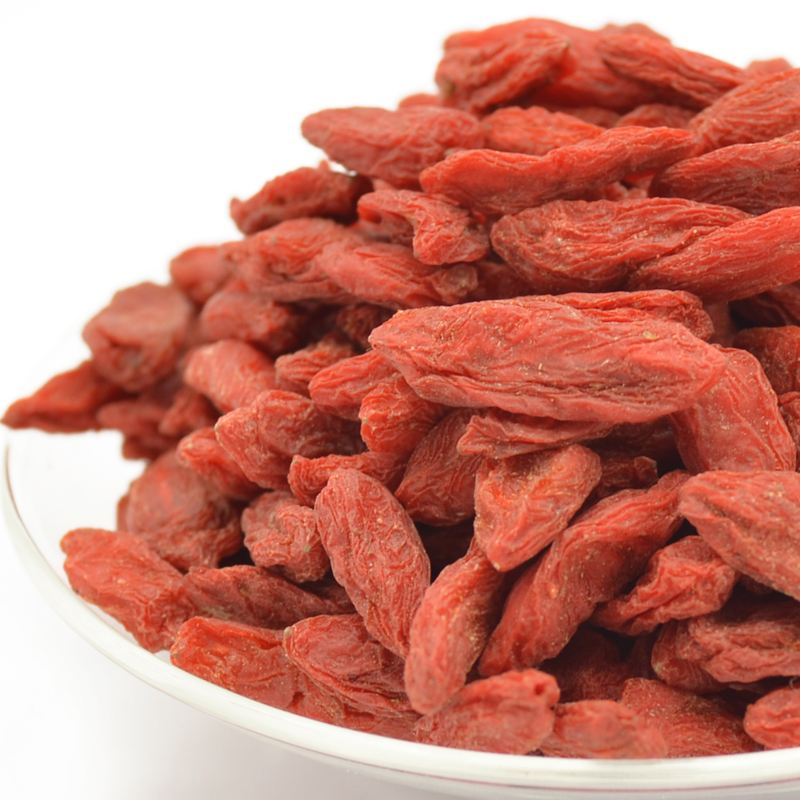 We are China Origin Factory of Large Himalaya Dried Goji Berry. If you have any question, please feel free to contact us.